In the video below, Freedom Center founder David Horowitz joins Mike Huckabee on his show to discuss his new book, Dark Agenda: The War to Destroy Christian America. Horowitz compares the arrogant and seductive Democrats to the serpent in the Garden of Eden. 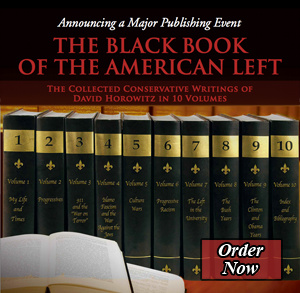 In the new video below, Freedom Center founder David Horowitz joins Glenn Beck to discuss his new book, Dark Agenda: The War to Destroy Christian America, his radical socialist past, the Black Panthers, and why his ideological journey led him to a rightward evolution. Horowitz traces the history of Progressive attacks – by any means necessary – on Christian principles and on America itself.